Reg, although it's not a quiz as such, can I bring your attention to the 'Most Users Online' thread. Have a look in an old diary for us if you would. I've a feeling it was around about that time that most of the TFF membership were hungry for updates as they were worried about 2 border collies of yours that were due to be spayed ? I won't put that forward as the probable reason for most logging in until you can corroborate the dates. Hope the dogs are still alive and well....same goes for Rob's spaniel . Very well spotted/remembered AJ, it was at that time that two of my Border Collies were spayed! Though something tells me, that wouldn't be the reason for such a high number of people viewing. To be honest, getting my Border Collies spayed has not been easy! The first two (the ones in question) took three attempts, because of two false pregnancies each! The third female was spayed last year. We thought we would be clever and take her to a vets that did keyhole surgery instead of the normal way (which is what our local vet does) which cuts them almost in half and seems to remove 90% of the dogs body! The bloody machine broke down in the fancy vets, and she had to be done the normal way! We have a male Border Collie also, this poor bugger had his balls cut off before he was one year old! My missus tried to book me in as well, as they were doing a 2 for 1 deal at the time! All four Border Collies are fine...and I still have my balls! If that was my spaniel, he is doing fine thank you - spent 5 hours walking on the higher parts of Dartmoor on Saturday, he will be ten in a couple of months. Thanks to Jon for adding those comprehensive highlights. I had no idea they got sunshine that far North. But Goal Music, I ask you ??!!??. National League South level football I shall make every effort to put up with, but if Torquay ever go down the 'Goal Music' route that really will signal an unacceptable step too far. I know the Northerners put gravy on their chips, but sometimes their failure to grasp what is or isn't appropriate is staggering. 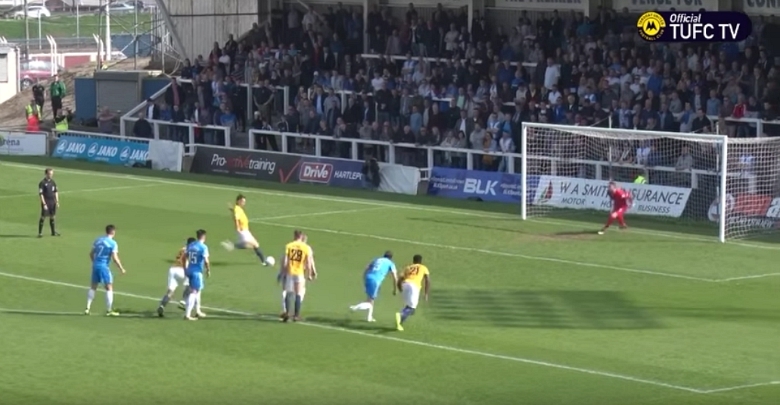 Terrible bad luck for the Hartlepool goal. A combination of bad luck and less than clinical finishing prevented us getting 3 or 4. And in the further half second before Williams kicks the ball, the keeper can start his dive from that vital foot forward from where the rules allow. I just can't work out what can be obstructing the referee's view ! Add into the mix that Hartlepool have a defender in the penalty area in advance of the kick being taken. Would that be a further cause for instructing the kick be retaken if it's missed ? A brave admission when half of Dartmoor went up in flames at the weekend, rjd. I'd keep quiet about you spending more time there than most, and definitely don't mention where you threw your cigarette ends. Yes, it could well have been your spaniel.....but I won't discriminate just in case Rob had one as well. Lovely weather for dog and Master to enjoy the moors. I was spending a few minutes trying to come up with an answer to Stewart's 6th June 2012 question. I think it must be TUFC rather than world events related. Euro 2012 hadn't quite kicked off for a few days. Players moving out such as Olejnik, or coming in: Billy Bodin, didn't happen till later in the month, and were more cut and dried affairs when they did take place. Maybe about the 6th was the height of the will he/wont he - has he/hasn't he Eunan O'Kane 'signs' for Crawley drama ? An influx to the Forums trying to find out what's happening maybe ? But 6th June 2012 is about to be superceded anyway isn't it ? Logging in for the TFF 10 year anniversary celebrations (why not make it compulsory ?) plus a whole host of visitors passing on their good wishes should shatter the record easily. Only reply if it all ended happily, Reg. We don't want to start the week with tears......that's if we've got any left after Saturday. Sometimes i just sits and thinks...and sometimes i just sits! 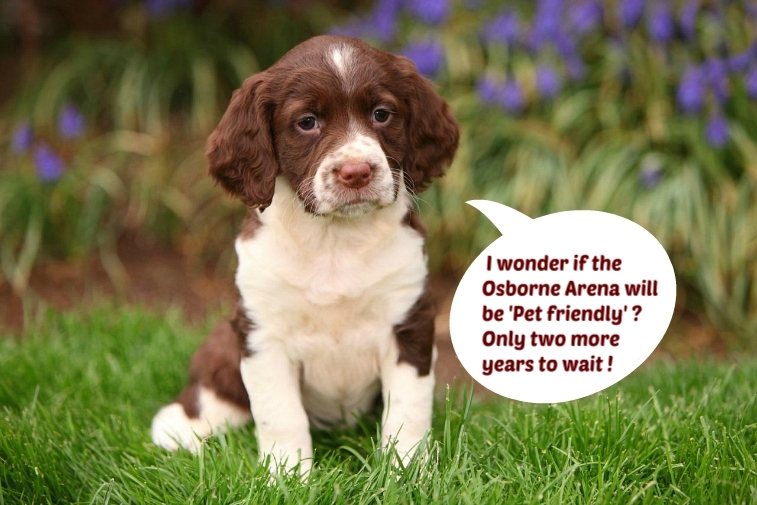 Now some of you blame poor old Mr Osborne (Ozzy) for our predicament, but is Ozzy such a villain of the piece! Having stumped up a hundred grand or so to rescue the club, he now seems to be waiting to turn that small change (for him) into many millions! What percentage of actual TUFC fans, if in the same situation would do the same...Flog-It! I would imagine that percentage would be high...though no one on this site would do that of course! Also, poor old Ossy can't be blamed for the situation we're in, because for almost the last decade, this club could have been run better by the Chuckle Brothers! Anyway, I for one am looking forward to a season in the NLS...oooooohhhh I'm getting that warm soapy feeling again! Not quite. Merthyr Town, who were a founder member of Football League division 3 in 1920, failed re-election in 1930 and spent the following four seasons in the Southern League before being liquidated. The original Hereford United also played a few games in the Southern League Premier in 2014 before being banned by the FA. We are the first former Football League club to be relegated to Conference South. A pet peeve of mine has long been about goalkeepers moving off the goalline before penalty kicks are struck. If you can jump a foot forward and then make your dive then you've narrowed the angle considerably. How pleasing to read of action being taken, in this case against the cheating Irish. It has been getting ridiculous to the extent that if things get any worse the goalkeeper will get out to the ball before the penalty taker has kicked it. Well done to the officials, but it's not before time, and it's their lax approach that has let the problem develop to the extent it has. Now let's see the laws of the game properly enforced at every level.